Solar energy is getting popular each day and is increasingly finding applications in all spheres of life. I have already written a lot about various solar products including solar panels, solar inverters, solar chargers, solar water pumps etc. Today I would like to write about these solar products that excite me the most – Solar Lights for Gardens! Solar Lights are gaining traction especially solar lamps, lanterns and solar street lights. 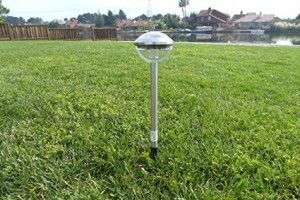 Solar lights for garden/ outdoor usage is now finding more acceptance in the consumer world. Solar lights are typically suited for garden or any other outdoor lighting purpose because here solar light is in abundance. Not only are these solar lights environment friendly, have no greenhouse gas emissions, require no dirty fuel, but they are also economical to use and increase the beauty of the place. They do not require any wiring and are easy to instal. 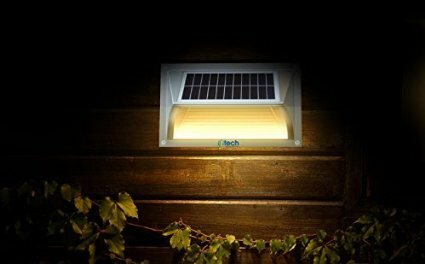 There are a variety of these solar and LED lights available online for the customers to choose from. I have tried to compile an all purpose list of solar lights that would hopefully meet your requirements. Also read about the Solar products to buy that will reduce your electricity bill this summer. 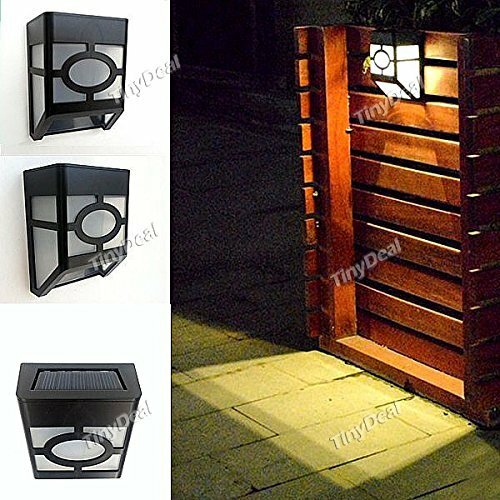 1) Solar Garden Pathway Lights – these lights can be used to light the pavement or pathways. Each box comes with 6 multi colored lights, which are waterproof and are able to work for 6-8 hours efficiently once fully charged. They come with a rechargeable battery (Ni-CD/Ni-MH) and a multicrystalline solar panel. 2) Solar Powered Wall Mount Curved LED Lights – This light is a perfect combination of LED and solar lighting option. It also comes with a battery (Ni-MH AA 1.2V/1000MAH), which can be charged using solar power, a solar panel and LED light which is the light source. It can be installed under the roof or fixed on the wall in your garden and is ideal for outdoors, garden yard, docks, stairways, pavements and fence. 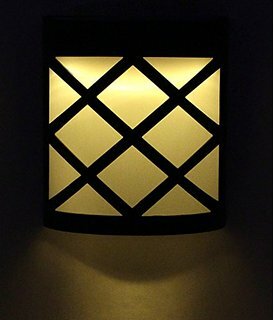 Black colored with an aesthetic design, these lights switch on automatically as soon as it starts getting dark. 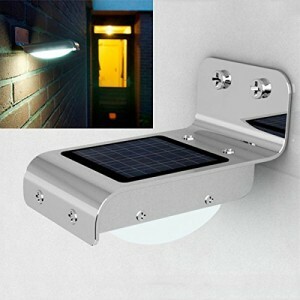 3) Solar Powered Fence wall lamp – This is another classic combination of solar power with LED lights. These waterproof lights are ideal for garden, fence, wall lamp. No on off switch, it starts working as soon as the insulation strip is out. 4) Solar Powered Energy Saving LED Wall Lamp – Another LED light powered by solar energy and functions under three modes dark, dim and bright. It automatically senses the darkness and lits up. This light has a solar panel alongwith an in-built battery. This smart motion sensor light automatically senses human approach and lights up bright and automatically dims out after 30 seconds. 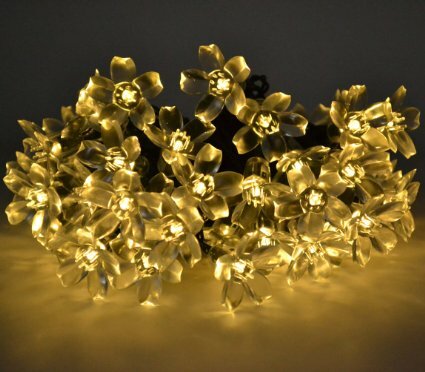 5) Blossom Solar Fairy String Lights – Ideal for decorations during an outdoor party can be easily used in gardens, patio and lawn. These are waterproof lights and can function on two modes – twinkling and steady. It also has an in-built NI-MH battery and is 5 meters long, with 50 LED blossom lamps. Looks very pretty giving out a warm white light and works fully on solar power. 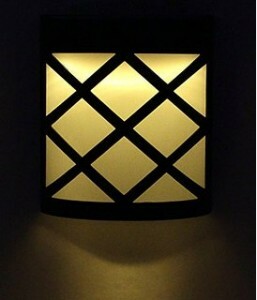 6) Solar Wall Light – These lights are ideal for illuminating a larger area. They work totally on solar power and uses 8 hours of sunlight to fully charge itself. After that it can work for three consecutive nights without further charging. It turns on automatically at night and comes with 1 Year Manufacturing Warranty and Free Transit Insurance. These solar lights are a great way for people to get a feel of how solar energy can be harnessed and used efficiently for lighting our homes and reducing our power bills. I am sure once a customer gets the taste of solar power, he will surely go ahead and start thinking on a larger scale about how solar power can be used in homes to cut electricity bills. Also read about Best International Solar Lights for Garden Outdoor, Solar LED Lights with Batteries.